CentOS (Community ENTerprise Operating System) is one of Linux distribution, which is derived from Red Hat Enterprise Linux. 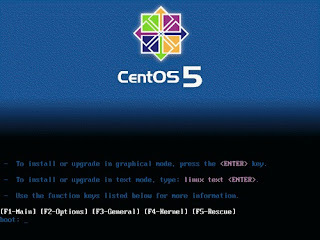 CentOS 5.5 is now officially released and this version is based on Redhat Enterprise Linux 5.5. This is the fifth update of CentOS distribution. It contains many bug fixes, upgrades, new features and also provides first time OpenLogic support. 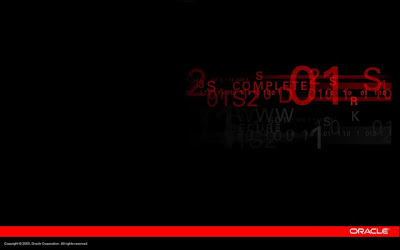 Quanta Plus is a Web development IDE, mainly used for rapid preparation of CSS. In the open-source project, GIMP is the most popular. For people who like Photoshop, you can not only extend interfaces, but also to imitate the style of Photoshop. Krita is a very powerful performance picture editor. WinSCP is an open source systems for Windows FTP tool. KompoZer is a complete Web authoring system, and integrated FTP client. Vmstat command provides a process, memory, page I / O blocks and the monitoring CPU and other information, vmstat can show the average test results or the sample value, sample model can provide a sampling frequency of the monitoring results in different period of time. ps and pstree commands are basic commands most commonly used systems analysis, ps command provides a list of running processes, list the number of process parameters depend on additional orders. For example, ps-A command lists all processes and their corresponding process ID (PID). Using the pstree command displays a tree structure of all the process information and can be integrated child process the information. Pstree command on the source of very useful process. Free command displays system memory utilization, including free memory, used memory and swap memory. Free command displays also include a number of kernel cache and buffer information. Uptime Command display results include server has been running for how long, how many users log on the server performance and overall assessment load average. Load average values were recorded in the last 1 minute, 5 minutes and 15 minutes intervals of the load, load average is not a percentage, but in the queue waiting for the process of implementation of the number. If the process requires that the CPU time is blocked (meaning the CPU did not have time to deal with it), load average value will increase. On the other hand, if each process can get immediate access to CPU time, this value will decrease. Windows provide a net send tool to communicate between window's machines. you can open the messenger service to send a message machine. There is no command provided in linux machine to communicate with the window. Communication with windows, linux only way to use samba. Instant messages can not be used. But there is a tool, called gladeNetsend, using this tool you can send short message from Linux to windows. 4. Will gladeNetSend / src / nbtscan copy / bin directory, and give the file execute permissions. To start off, see how much swap space you already have. At a command line, type swapon –s. I was already done this process that’s way you can see that swap mount point shows /extraswap. First time when you do this process your swap mount point shows links this. All the said process was done on Virtual Machine. 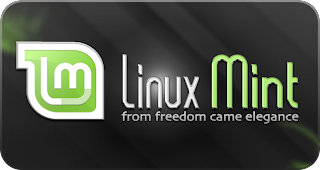 Linux mint is a very young operating system, which started in 2006. Linux mint born purpose is to provide home users and business users Free, Easy and Beautiful desktop. Linux Mint is always based on Ubuntu's release, the aim is to provide a more complete experience instantly available, which include the provision of browser plug-ins, media codecs, DVD playback on the support, Java and other components, and Ubuntu compatible software repository. Linux mint 9's Ubuntu 10.04LTS based on the latest operating system, carrying the same Linux kernel 2.6.32.11 and X. Org 7.4, support EXT4 file system. Boot faster, the desktop version will have 3 years technical support services, the server version of 5 year support, starting areas, including the United States and Japan. Fedora 13 code name "Goddard"
Fedora from Red Hat Desktop version of Linux, aims to develop and integrate the latest free and open source software. From the end of 2003 to today, Fedora releases its new version in every six months. Its latest version of Fedora 13 is expected to be May 18, 2010, and its code name is "Goddard" word from the U.S. physicist Robert Goddard, the first U.S. rocket engine inventor, is recognized as the father of modern rocket technology. Linux in the desktop side, Fedora and Ubuntu have often been used to compare the two sides each represent a different concept of Linux popularity.